Everyone has an image of how life will be after retirement. Our goals might include a slower pace in our day to day goings-on, maybe a bit of travel because it’s good for the soul and plenty of quality time with loved ones. In order to get that, however, there’s that little matter of planning. As more Americans are looking past the traditional estate planning process, there’s renewed interest in and a focus on various trusts. This week, we take a look at a few of the trusts you may have heard about. These trusts, sometimes referred to as a QTIP trust, allows you to allocate assets to specific relatives. These are especially helpful if there have been many changes in your family: divorces, remarriages, stepchildren, etc. The surviving spouse relies on the trust for income while the beneficiaries previously specified receive the principal – or remainder – of the trust after the surviving spouse dies. This type of trust can help ensure fairness when it comes to division of assets. These trusts become part of the surviving spouse’s estate, meaning it may be subject to an estate tax. By creating a bypass trust, those assets can be sheltered. You may have heard these referred to as a bypass trust or a family trust. Your will outlines an amount to be added to the trust, up to the estate tax exemption. From there, the remainder of the estate then is passed to the surviving spouse. These types of legal trusts allow you to be as specific as you’d like in terms of how the trust may be used. Obviously, a surviving spouse also has an estate tax exemption. This means a couple can double their collective portions of inheritances to be shielded from burdensome taxes. Once the money is placed in the trust, it remains free of estate tax, even as it increases in value. 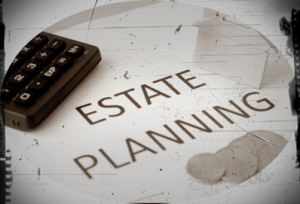 What makes this different than simply passing an amount equal to the estate tax exemption directly to your heirs after you’re gone is that the trust is a better protective mechanism for your surviving spouse. These trusts are becoming more common in estate plans. Sometimes referred to as a dynasty trust, they allow you to transfer a larger portion of your cash without worries of taxes your beneficiaries will be forced to shoulder…provided there are two generations between you and your beneficiaries. This means your grandchildren or great grandchildren. You have the added advantage of making specific requests, such as specifying your children may receive income or use the trust in a way that benefits your grandchildren or great grandchildren (you can actually go as far forward as you wish – provided there are two generations in place). Many specific uses for tuition, buying a house or other expenses younger adults face. Ultimately, estate planning has ebbed and flow just as our lives have; no longer is the traditional will enough to ensure our assets pass as we’d expect. These protections, offered via trusts, can help ensure your loved ones are well cared for when you are no longer here.